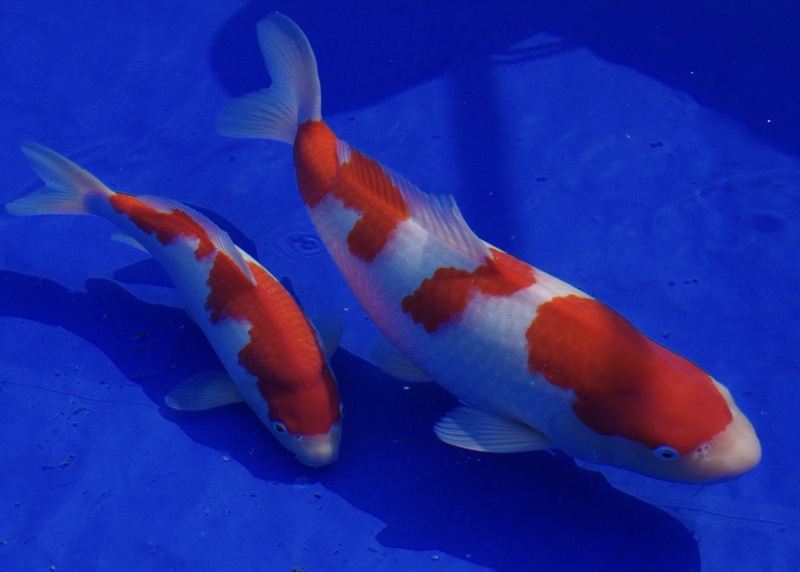 Home / Featured / Kohaku / Koi Show / Baby Champion! 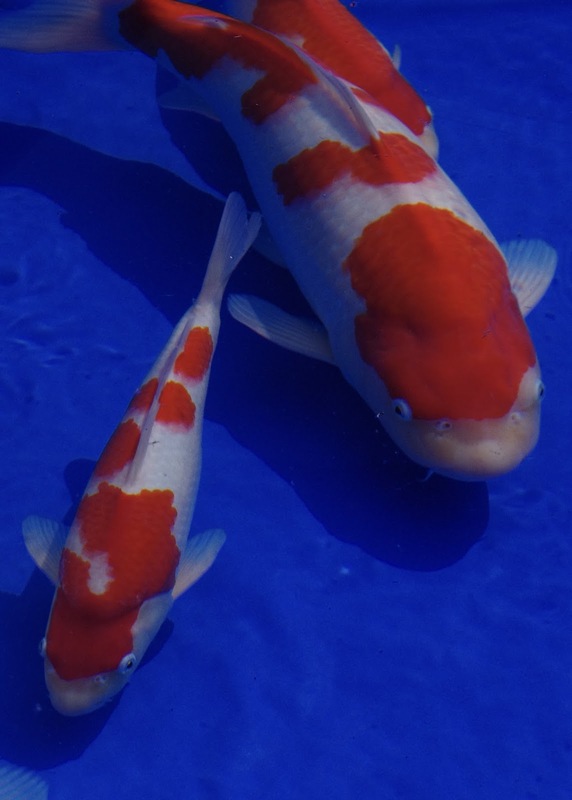 If you haven’t seen my facebook page, you’re probably still waiting to hear about my results from the South of England koi show just over a week ago. 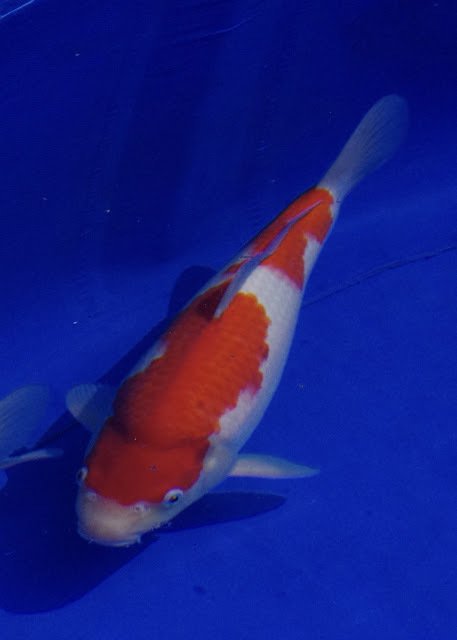 Last year I won the baby champion, and scored heavily in size 2 and 3 with my home breds, and this year I didn’t win as many awards, but the level of success was still way above what I could hope to achieve with home bred koi. I achieved Baby Champion for the second year in a row, with a size 2 kohaku from my May 15 spawning. 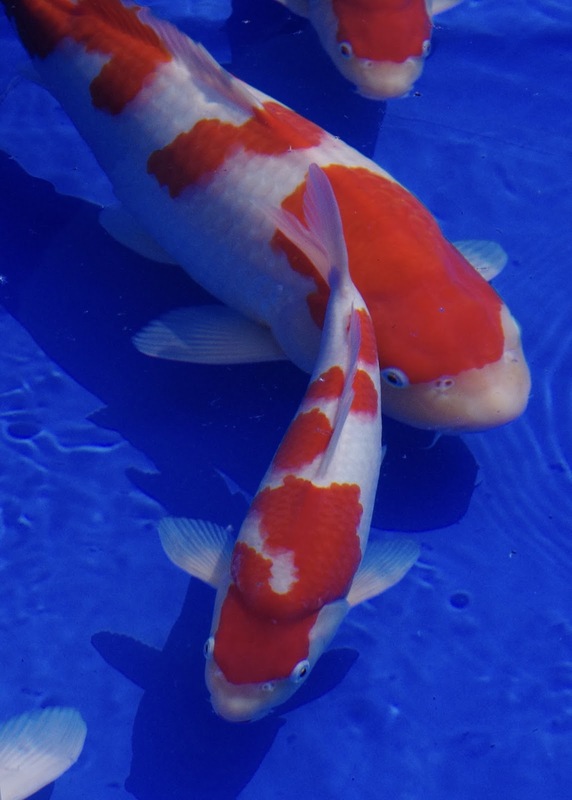 That makes it the best koi out of the 93 koi in size 1 and 2 at the show! Size 2 was the most hotly contested size grouping with 62 being exhibited, and my Baby Champ also came 1st in size 2 across all varieties, and another of my kohaku’s came 2nd in size 2 across all varieties too. I also achieve 2nd out of 12 kohaku in size 1, and 3rd out of 10 kohaku in size 4 with a male kohaku from my July 14 spawning. This size 4 award is particularly special, because of the high level of competition and its my first competitive prize in size 4 at an open show with one of my home breds. 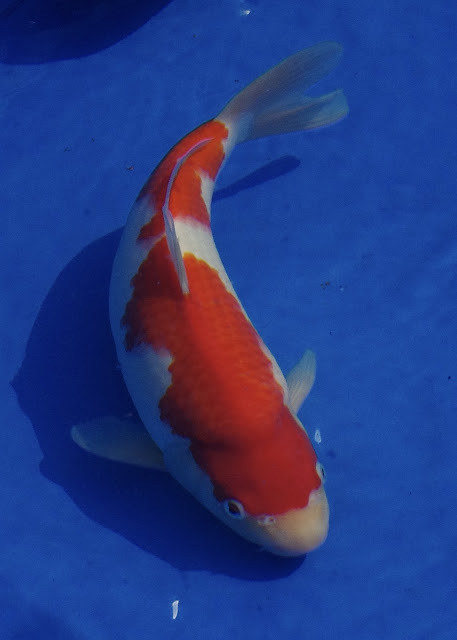 And, a bit of luck really – because I almost didn’t take this fish to the show. I’d planned to bring it to the show but on the Friday, we spent so much time choosing the size 2 and 3 kohaku that we almost ran out of pakcing up time . In hindsight… I’m glad we made the extra time available to bring it along. My size 3 tancho came 1st in size 3 tancho….. but it was the only koi in that class! So, nice to have a prize with that koi, but it wasn’t a competitive placing. 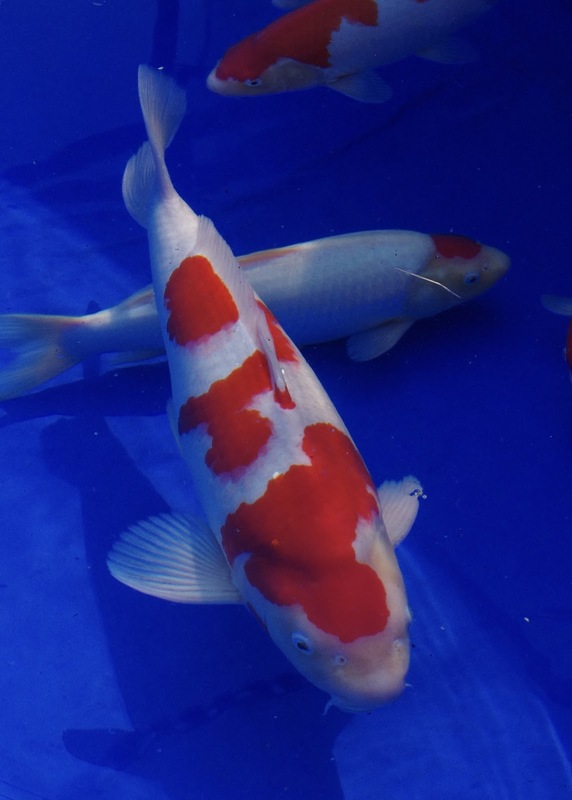 I exhibited 3 kohaku’s in size 3 but they drew a blank. Competition was tough, and whilst they were very presentable fish, there were at least 3 size 3 kohaku’s that were better than mine. 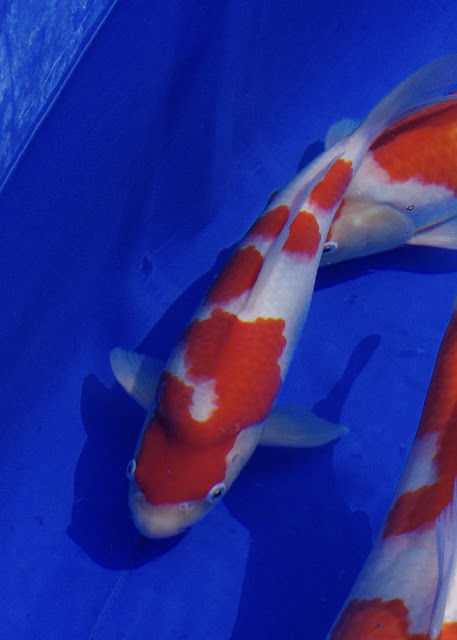 I think one or two of these size 3 kohaku’s could be in a better place development wise for exhibiting next year and the year after in the middle size groupings. Last year's baby champ, returned this year in size 4 but drew a blank. And the kohaku that came 2nd in size 2 overall. 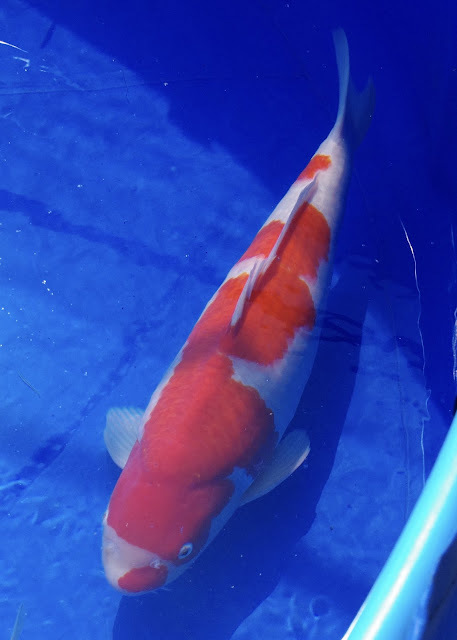 This size 4 male nissai came 3rd in size 4 kohaku. The tancho we took in size 3.